Youth is a critical partner in carrying out HOT’s mission. We worked together with university students and young people since the very inception of HOT in Indonesia. Youth is a tech native and is very agile in absorbing lessons, processing data, and making use of the innovative tools we developed. HOT has collaborated with 25 universities and academic institutions as proxies to engage with youth. 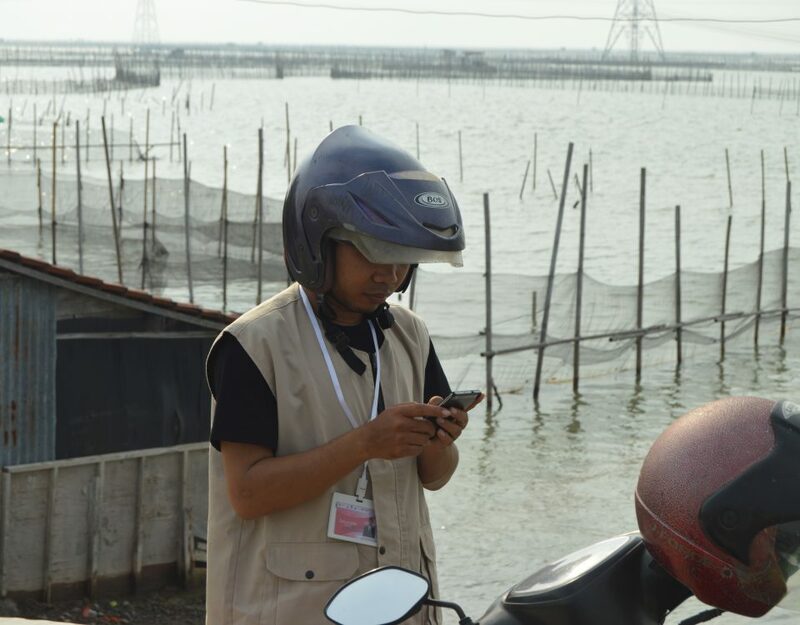 Scaling up HOT’s endeavours to provide exposure data in Indonesia, especially in the 136 disaster prone cities and villages, HOT proactively explores new opportunities to deepen its engagement with youth. HOT does this in two ways. First, HOT pioneered a programme where multiple universities can be engaged in parallel but also in a shorter amount of time. Second, HOT aims to assist the initiation of university-base communities to self-organize and pass around our training materials to their peers and incoming students. The first endeavour was executed through a nation-wide remote mapping competition, called Uni Battle Mapping, whilst the latter was manifested through collaboration with YouthMappers. University Battle Mapping is an innovative programme to continue engaging with university students to simultaneously map on OpenStreetMap. Students work in teams to map pre-assigned areas remotely. Team with the highest number of mapped buildings, road networks, and amenities–while still maintaining its quality up to OSM community standard–will win a prize. Whilst individual mapathon in university has become a great avenue to engage with university students, Uni Battle map can become an alternate method to engage with many universities at once and promote students’ abilities to work and map as a team. Validation is an integral element of Uni Battle Map evaluation criteria as HOT moves further into sustaining, not only the increase of the quantity of digitized objects, but more importantly, the quality of collected data. Each team is assigned separate tasking and they are free to digitize and add as many buildings, highways, and amenities as possible, and then validate their data within a set period of time. Elimination round was held for five days, three days for mapping and two days for validation. The finale was held for seven days, five days for mapping and two days for validation. 50 teams from all over Indonesia signed up for the tournament. 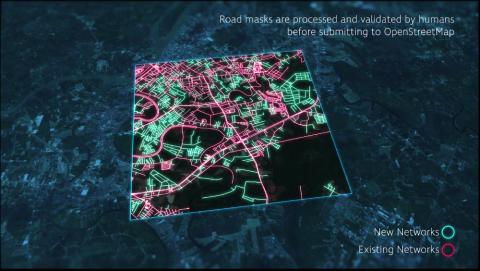 Over 212 thousand buildings and 5 thousand km highways were mapped during the 5-day final round alone. A team who named themselves Space Time from Universitas Muhammadiyah Surakarta managed to become the best team with total score 8673.6 point. The standing was closely followed by the runner-ups from Institut Teknologi Bandung (ITB) and Universitas Gadjah Mada (UGM). Winners were invited to receive their prizes in an educational talkshow held in conjunction with OSMGeoWeek. 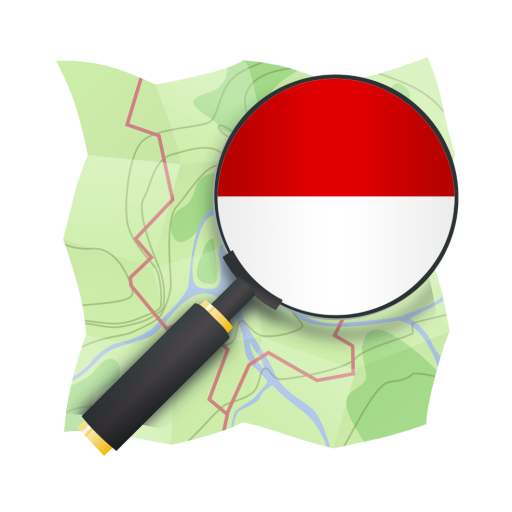 Universitas Muhammadiyah Surakarta, the champion of Uni Battle Map, was officially registered as the first YouthMappers Chapter in Indonesia three months following the conclusion of the competition. The team has quickly expanded from just three persons who decided to join the Battle Map into 33 community members. 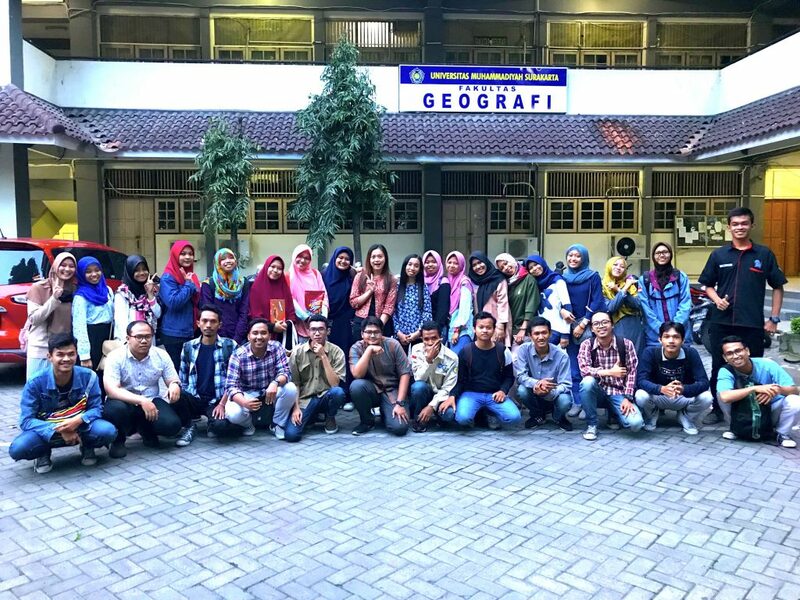 HOT Indonesia who first encouraged the team to be affiliated with YouthMappers visited the university to train the newly recruited members on how they can make the best use of OSM for their community. 28 students attended the training and mapathon. The training aimed to teach students basic to intermediate level of OSM mapping using iD, JOSM, and Tasking Manager. Students are also trained to conduct field survey to add accuracy of their campus’ map using GPS, OSM Tracker and Field Papers. 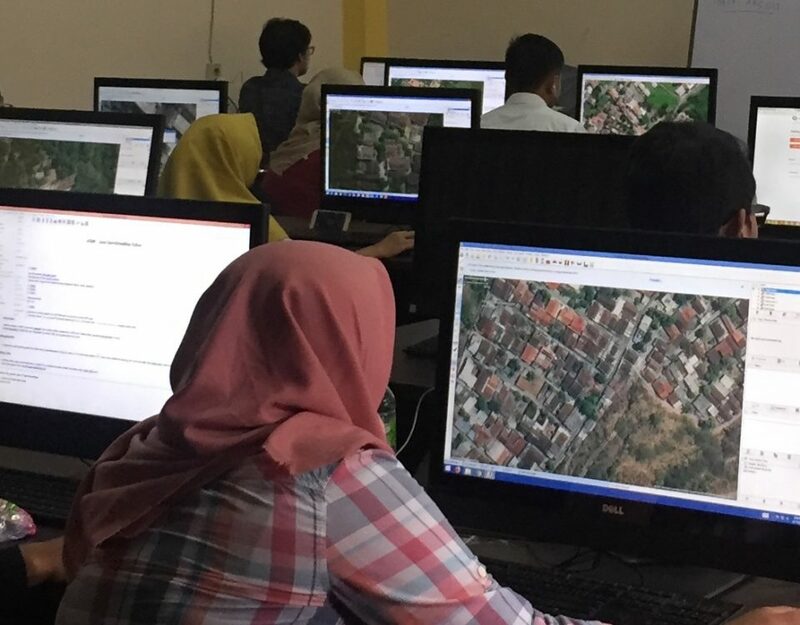 With this training, over 15.982 buildings were added to Surakarta in just a few hours. Joining YouthMappers, UMS’ Space Time is now part of growing YouthMappers’ community networks with over 100 chapters in more than 30 countries. Such affiliation provides UMS structured guidance and support for their community development. It also opens up opportunities for future project collaborations, training, and research fellowship within the network. If you are a student leader, or are part of an existing student club who like to map with open spatial data or are keen to learn more about how such data yields impact to solving real development problems, please consider signing up to YouthMappers. You only need to name your faculty mentor, a president, a secretary, and a treasurer and submit your intent via this form. 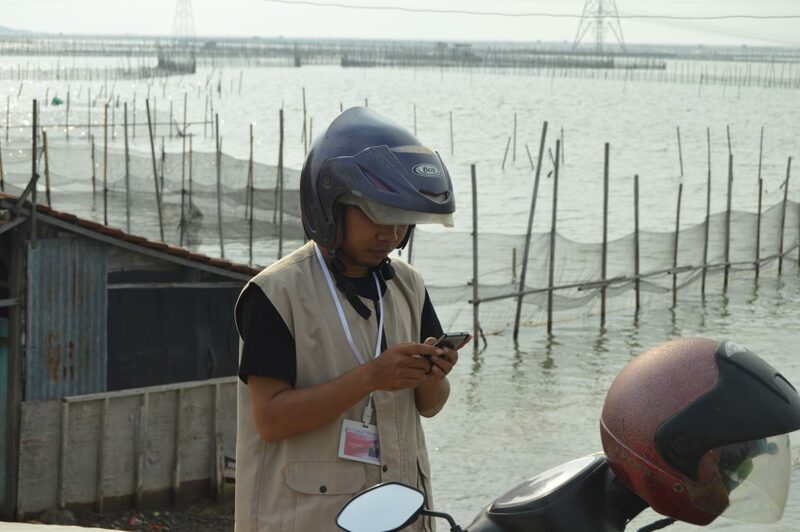 HOT Indonesia will continue to engage with more youths and open data enthusiasts, tapping into Indonesia’s bonus demography and its emerging tech landscape. It aims to facilitate the creation of more open spatial data to fill in the gaps and address many development challenges still looming large in the country, through inclusive and active youth participation.